New research published in the Nature journal Scientific Data shows how the public can play a vital role in helping to track invasive species. The journal has published data from the UK Ladybird Survey which shows how the harlequin ladybird, which is a species native to Asia, has spread across the country. The harlequin ladybird was introduced to mainland Europe in the 1980s to control aphids. It was first reported in the UK in 2003 and is now outcompeting a number of smaller native ladybird species. The new open access study maps 48,510 observations of the harlequin ladybird, submitted by the general public, spanning over a decade. Spreading at over 60 miles per year during the early stage of invasion, the observations show that harlequins are now widespread through England and Wales and increasingly being reported in the south of Scotland. There have been few attempts to monitor the spread of invasive alien species systematically from the onset of the invasion process but the model used by the online UK Ladybird Survey, led by academics from Anglia Ruskin University and the Centre for Ecology & Hydrology, shows the important role that citizen science can play. Rapid flow of information about the occurrence of invasive species is critical in order to take any effective action, and the citizen science approach developed through the UK Ladybird Survey is already being used for surveillance of other invasive non-native species, including the Asian hornet. 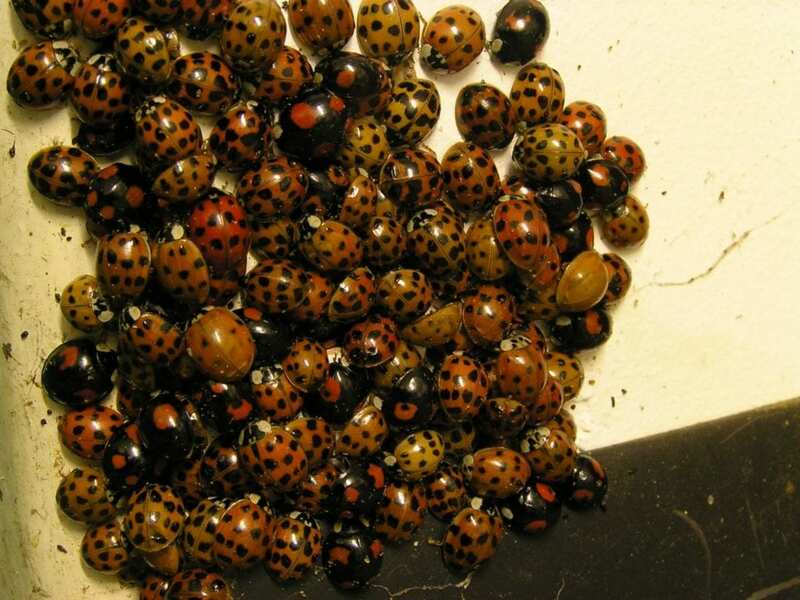 Lead author Dr Peter Brown, Senior Lecturer in Zoology at Anglia Ruskin University, said: "All these observations have made major contributions to our understanding of the ecology of the harlequin ladybird in the UK. We are now excited to see how others might use the model and the patterns of data to explore invasions by other species." Co-lead Professor Helen Roy, from the Centre for Ecology & Hydrology, said: "It has been incredible to see the way in which so many people have got involved in tracking this invasion – it is a truly collaborative project. We have been able to answer many important ecological questions using this vast dataset. This would not have been possible without these inspiring citizen science contributions."